The police in Linden are investigating the circumstances surrounding the death of Paulette Wade, a midwife whose lifeless body was discovered in her Kwakwani home on Friday morning. 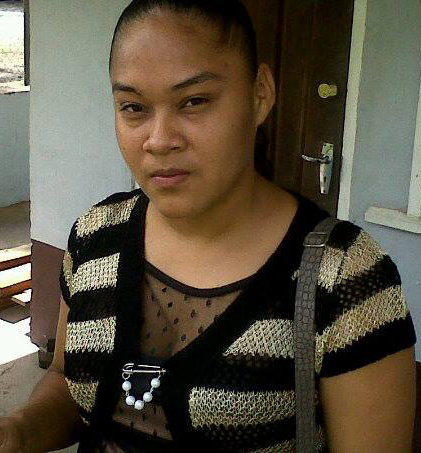 Wade, 37, also called ‘P,’ of Kwakwani Park, Upper Berbice River, was discovered lying motionless on her bedroom floor by her seven-year-old daughter. Enquiries revealed that the staffer of the Kwakwani Hospital and her daughter were home alone as her husband Hugh Wade has been away in the interior. Sunday Stabroek was told that Wade and her daughter had retired to bed around 9 pm on Thursday evening. However, when the child awakened around 6.30 the next morning, she found her mother’s motionless body. This newspaper understands that she called out for her mother but after the woman did not respond, the child left the home to notify a neighbour. This prompted the neigbour to visit the Kwakwani Hospital compound, where she told the security guard, who in turn informed staff at the hospital. The police were also informed and in the company of a doctor and nurses from the hospital ventured to the woman’s home, where the doctor subsequently pronounced Paulette Wade dead. Both Wade’s body, which was discovered lying face down on a concrete floor clad in her sleeping clothes, and the scene were examined by police. The examination uncovered small bruises on one of the woman’s elbows as well as blood on her mouth. A closer examination revealed that the deceased bit her tongue. There was no sign of forced entry, nor were there signs that the house had been ransacked. Wade’s body was taken to the Kwakwani Hospital Mortuary while arrangements are being made to facilitate an autopsy.